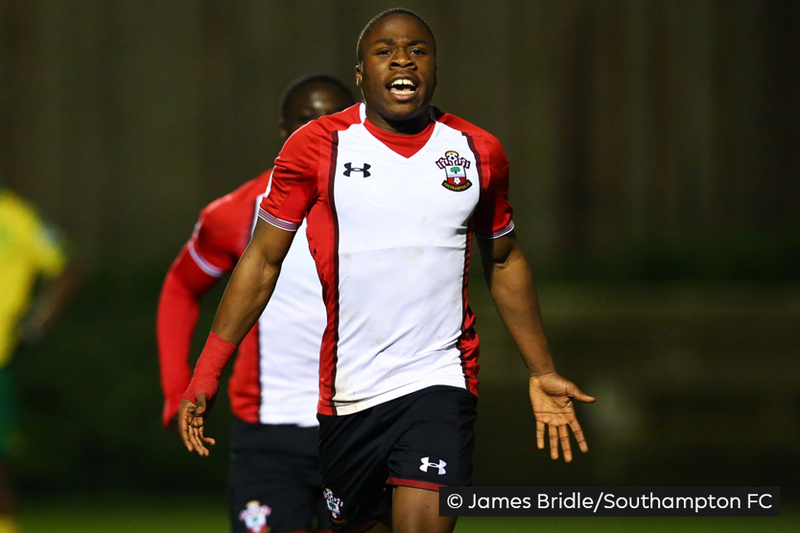 Michael Obafemi scored in stoppage time to clinch a 2-1 victory for Southampton over Norwich City and give their Premier League 2 Division 2 play-off chase a boost. Seventeen-year-old Obafemi took only 13 seconds to open the scoring, and Saints also took a numerical advantage into the second period as Norwich's Timi Odusina was sent off on the stroke of half-time. Norwich goalkeeper Aston Oxborough saved a Jake Hesketh penalty before Adam Phillips equalised with a superb 25-yard free-kick on 77 minutes, but Obafemi had the final say. With three matches left Southampton are in seventh in Division 2, three points behind fifth-placed Middlesbrough, who occupy the final play-off position. Norwich are one point and a place behind Saints, but they have played one match more.